Four new bus shelters will be built in Gladstone Park with "weather protection, snow-melt flooring systems, real-time bus arrival signage and community expression elements," officials said. 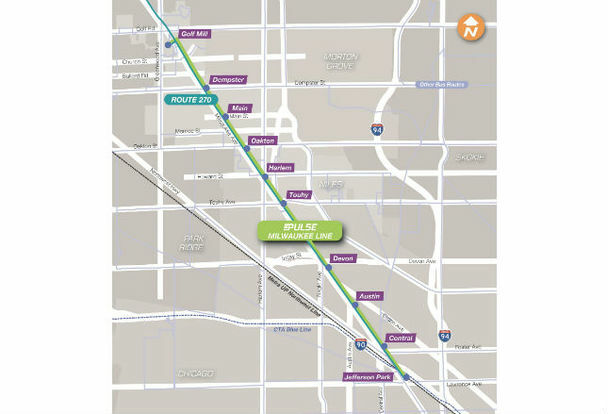 CHICAGO — A new express bus line coming to Milwaukee Avenue next year will make just four stops in Gladstone Park and six in suburban Niles, according to details released by transportation officials. Thanks in part to a $10 million federal grant announced Wednesday, the Pace suburban bus network will supplement its existing No. 270 line with a new fleet of buses set to stop only at major intersections. The buses, equipped with WiFi hot spots and USB charging ports, will stop every 10 minutes during rush hours, every 15 minutes during "off-peak hours and weekends" and every half-hour during late nights before stopping at midnight, officials said. The line will be served by new sheltered stations built with "weather protection, snow-melt flooring systems, real-time bus arrival signage and community expression elements" drawn up by neighborhood partners, Pace spokeswoman Maggie Daly Skogsbakken said. Construction on the new shelters will get underway "later this fall or early next spring," with the new line starting operations sometime in 2018, Skogsbakken said. 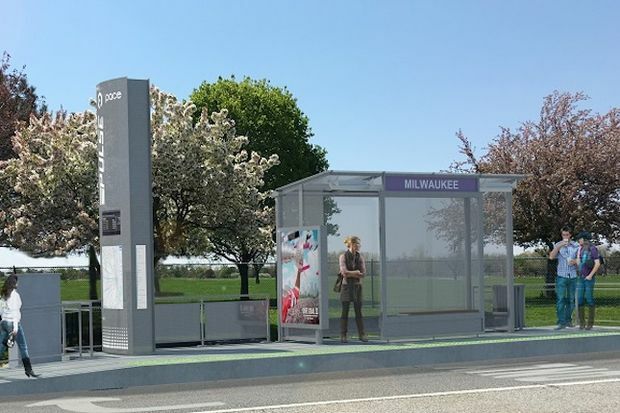 The Milwaukee line is the first of seven new express buses Pace plans to launch around the metro area in the next several years, including routes on 95th Street and Harlem Avenue. Eventually, the agency envisions a "rapid transit network" with dozens of new express lines. A map of all 36 potential routes can be found on Pace's website.